We often hear about the difficulties of levelling a caravan on a slightly sloping pitch and then lining up the wheels to fit an axle wheel lock, particularly on a twin axle caravan van. Levelling the ‘van can often be a two person operation and sometimes very stressful for all involved. You’ve taken ages to get your caravan level and then you can’t get to the receiver for your lock lozenges! If you’re lucky enough to afford a new Lunar Alaria or Buccaneer caravan, like the Galera, then you won’t have these problems…Welcome to the E&P automatic levelling system! 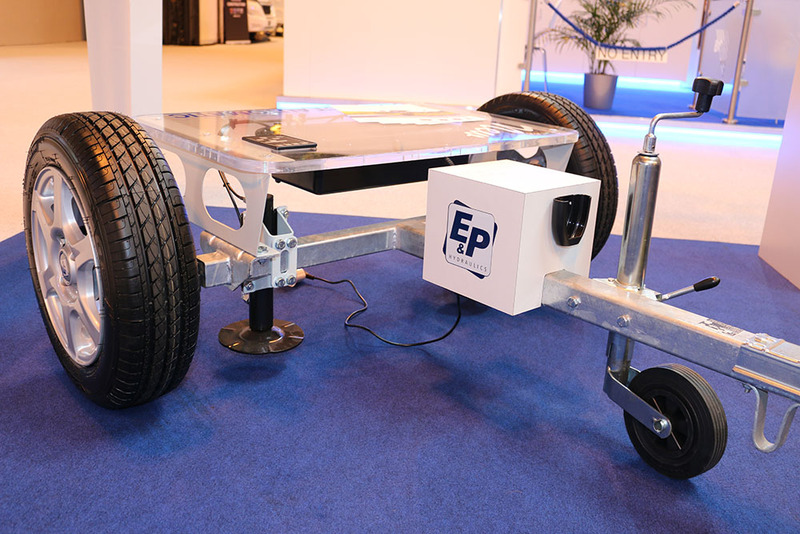 At the press of a button the E&P Levelsystem allows you to tilt and lift up the caravan with its six hydraulic supports. You can then turn the wheels by hand and get those axle wheel locks fitted with ease. Using a control panel inside the caravan or a remote control, you then press auto to activate the levelling system and watch it automatically put down the hydraulic steadies and level the caravan in less than two minutes. This automatic levelling system can be retro-fitted and although it’s not cheap, it’s simple to use and will get you perfectly pitched in no time at all – without the need for jacks, blocks and spirit levels. Using hydraulic axle supports (or jacks) the system lifts and tilts your caravan, taking the weight of your tourer and reducing the stress on the caravan suspension, corner steadies and tyres. When in storage you can also take the pressure off the tyres completely and use the jacks to take the stresses out of the axle. 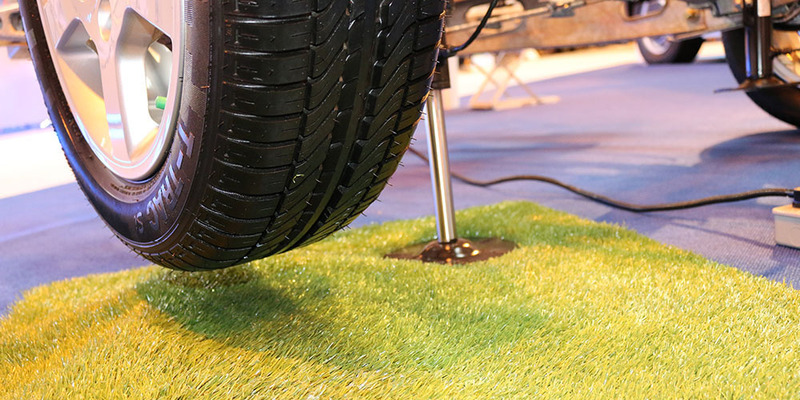 The system also includes four hydraulic corner supports with AL-KO Big Foot feet to help spread the load and make your caravan floor feel as solid as concrete! 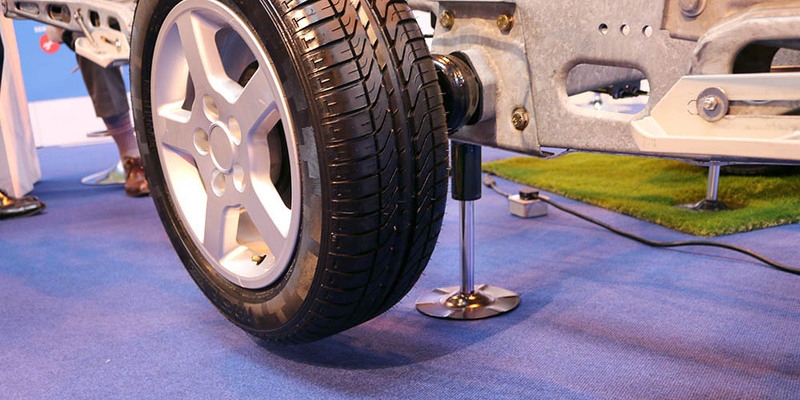 The levelling process is completely automatic and having the ability to tilt the caravan from side-to-side also makes it possible to repair a puncture at the side of the road whilst still attached to the tow car. The system is also a good theft deterrent as there’s no way of lifting up the corner steadies or the jockey wheel, and with the axle jacks down any caravan would take some moving! A Complete Levelsystem is in the region of £2,669 and will add some 30kg of weight to your caravan. So you’ll need to think long and hard about the benefits and how easy pitching up will be – as well as the reduced strain on your caravan chassis and wheels. There’s a cheaper Compact Levelsystem at £1,800, which includes the axle jacks but not the hydraulic corner steadies. It automatically levels your caravan across the axle but you’ll still have to manually align the corner steadies. And of course, it will help to fit those axle wheel locks and take the strain on the suspension and wheels when in storage. For more information visit www.ep-hydraulics.co.uk. @Chris.Sykes – In our case, 3% of van price, 5% of payload (1% of the weight of the van) and not a waste of money. Horses for courses and all that. Im curious as to how the e&p emergency retraction works, surely thats what the hand pump does? If you’d like to know more Stephen please contact E&P directly on 01254 297785. Following on from my previous message, i also had nails in two tyres last year from either side (one required a new tyre as the nail penetrated the side wall), i used the hydraulic jacks to lift the caravan to remove the wheels, it was left just up on the jacks in storage for nearly a week until i got back with the repaired/replaced wheels. Its just brilliant, in some ways its a better extra than the movers! Thanks Stephen for sharing your positive experiences with the levelling system. After having the same single axle caravan for just over 10 years, then retiring from work in 2015 aged 58 with a large payoff, we used some of the payoff and upgraded to a new Elddis Super Sirocco twin axle. Had air con, solar panel, 4 powertouch evolution movers fitted but the best thing was the E&P Hydraulics fitted by Conrad Anderson in Birmingham. I remembered watching people massively struggling to get the alko wheel locks on twin axles, not the easiest on single axles too, but the hydraulic system makes setting up so much easier. You just use the manual button to lift one side, gently take the handbrake off, spin the wheels and fit the locks, handbrake back on, drop the caravan on ‘retract all jacks’, press auto and the caravan is level, no bounce inside, solid as a rock! Recently the caravan parked next to mine in undercover storage was stolen, the plastic cover off one of the wheel locks on our caravan was lying on the floor next to the wheel, i’m convinced the hydraulic levelling activated was the reason they didnt take ours, we dont leave the remote in the van and as it was an after-market fitting the main panel was not cut into the van panelling but hidden away on a coiled up umbilical. We leave the blinds open and nothing much in the van. The van next to us was a single axle with a cover on it too, they removed the cover and ground off the alko wheel lock and hitch lock. Our storage has never been touched before and there arent many vans there, there was minimal security which is now obviously being increased. But my main point is i believe the hydraulic levelling saved our van from theft. Yes Erwin, the pump does add to the cost and, in theory, could compromise theft deterrent if someone knew how to operate it and had access to a handle/lever. A quick fix would be to padlock the hand pump in place – but don’t lose the key! E&P have recently introduced an alternative emergency retract feature within the system, as standard, thereby removing the need for the hand pump as a back-up for any customers who want to be doubly secure. Yes the system is expensive, but my wife and I are very seriously considering a retro fit to our van, as both of us have health issues, me especially. If this system allows my wife and I to remain active caravaners, then it is an absolute no-brainer for us. Also as John above has eluded to, in order for insurance to be valid a twin axle requires both wheels to have locks fitted and we all know how often both wheels line up perfectly when one pitches up, yeah that would be never and is why I carry a trolley jack in the car. A good idea which might enable some more infirm to keep on caravanning for longer. For me it would prove to expensive – the full kit needs to be under £2000. What happens if it seizes or breaks down? Hi Graham, you can manually retract the jacks using the optional manual hand pump if you choose to have it installed. Good on you Bill my sentiments exactly it’s great. Never mind the jokes about it doesn’t matter if the van is level or not, of course it does to have the water waste sink and heating work properly it has to be level especially with a Twin Axle. It’s the best thing since sliced bread EVER to have on your van. No more jack to carry to change wheel and simple to fit those wheel locks just hit the button. So if you can afford it buy it just for your health alone. Think I’ll stick to falling out with the other half! It’s a lot cheaper and more fun making up! Great ideas but too expensive for me. 12.5% of van price and 15% of weight allowance. What a waste of money. Just bought this system at the NEC Caravan show, as a pensioner with a few medical conditions this system will really benifit me and my wife, press a button jobs done. Yes it is a little expensive but it let me continue having holidays in our van. At 70 plus it sound the answer to my dreams. With a twin axle Fleetwood, boy do I have fun levelling and fitting wheel locks, which are imperative for your insurance to be legal! !